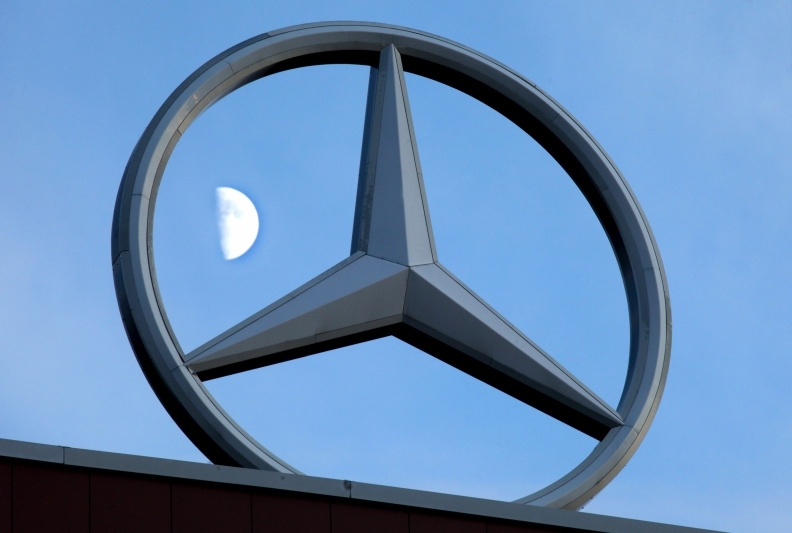 BERLIN/FRANKFURT -- The German government is seeking investors to buy European Aeronautic, Defense & Space Co. shares controlled by Daimler AG as the carmaker pushes to reduce its holding, two people familiar with the matter said. Chancellor Angela Merkel's government is looking for a buyer to maintain the country's parity with France for control of the Airbus parent. The search for private investors is the first step before politicians weigh whether to authorize a state purchase of the shares, one of the people said, speaking on condition of anonymity because the discussions are private. Daimler, which directly owns 15 percent of EADS, wants Germany to find investors this year for at least a 7.5 percent stake held by a group of public and private financial institutions, including Deutsche Bank AG and state-owned development bank KfW Group, two people familiar with the matter said in June. The carmaker controls the voting rights of the entire 22.5 percent. Germany has been discussing options for the stake for several months, including parking shares with KfW. The issue has been complicated by a change in leadership in Merkel's junior coalition partner, the Free Democratic Party, which has balked at state ownership. Merkel is also under strain to boost economic growth while financing bailout funds to counter the euro debt crisis. The German government is asking investment banks to help find a buyer, one person said. The Economy Ministry didn't return phone calls from Bloomberg News and Daimler declined to comment on the stake sale. EADS spokespeople in Munich couldn't be immediately reached. After months of stalemate, Daimler and EADS management have been pressing for a decision. Daimler CEO Dieter Zetsche said in June that the discussion can't go on "forever." EADS CEO Louis Gallois said then that investors would benefit from a higher proportion of freely traded stock. Daimler was a founder of EADS by contributing its Dasa aerospace unit to the planemaking and defense company's formation in 2000. Daimler CFO Bodo Uebber, who is also EADS's chairman, said in February that Daimler is interested in acting as Germany's representative in EADS, even if it sells its shares. Under the agreement that created EADS, investors from France and Germany must hold balanced voting rights in the company. French publisher Lagardere SCA owns 7.5 percent of EADS and also has management control over France's 15 percent stake.